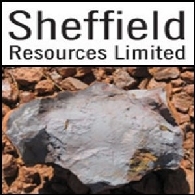 Sheffield Resources Limited is a new junior exploration company with a bulk minerals focus. Sheffield provides investors with an exposure to the following commodities: Talc, Heavy Mineral Sands, Iron and Tungsten. Sheffield Resources Limited (ASX:SFX) has announced the discovery of four new mineral sands prospects from first-pass aircore drilling at the company&apos;s Eneabba Mineral Sands Project in Western Australia. 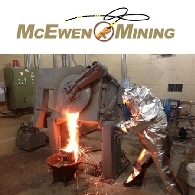 NYSE Gold Miner McEwen Mining Inc. (NYSE:MUX) announced today that it has fallen below the New York Stock Exchange ("NYSE") continued listing requirement related to the price of its common stock. 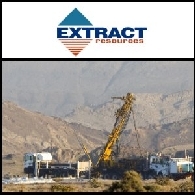 Sheffield Resources (ASX:SFX) today announced the identification of four high order anomalies from the first pass VTEM airborne electromagnetic (EM) survey undertaken at its Red Bull Project. Asian Activities Report for October 4, 2011 includes: Bulk minerals explorer Sheffield Resources Limited (ASX:SFX) today announced high grade talc results from drilling at its Moora Talc Belt project in Western Australia; Lochard Energy Group Plc (ASX:LHD) said today that remapping work at the Thunderball prospect on UK North Sea block 14/26b has identified more recoverable resources; Phoenix Gold Limited (ASX:PXG) announced the results of its latest drill programme completed at the Broads Dam Gold Project in Western Australia; NSL Consolidated Ltd (ASX:NSL) said today that construction phase has commenced on its US$2.3 million iron ore beneficiation project in India; GAIL (India) Ltd (BOM:532155) has recently acquired its first shale gas assets in the USA. 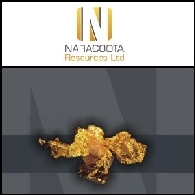 Asian Activities Report for September 20, 2011 includes: Naracoota Resources Limited (ASX:NRR) reported exciting high grade gold results from the Horseshoe Range project in Western Australia; Phillips River Mining NL (ASX:PRH) has signed a lead/zinc concentrate off-take agreement for the Phillips River Project located in Western Australia; Alligator Energy (ASX:AGE) announced further progress at the Tin Camp Creek drilling program; Sheffield Resources Limited (ASX:SFX) today announced results from a 30 hole drilling program at its McCalls heavy mineral sand exploration project in Western Australia; GVK Power and Infrastructure Limited (BOM:532708) has received board approval for the acquisition of coal projects in Queensland. Asian Activities Report for August 9, 2011 includes: Sheffield Resources Limited (ASX:SFX) today announced excellent drilling results at its West Mine North heavy mineral sands project in Western Australia; Guildford Coal Limited (ASX:GUF) has completed the US$3.5m acquisition of a new exploration permit in Mongolia; Monax Mining Limited (ASX:MOX) has purchased a tenement and increased its exposure to potential copper mineralisation in South Australia; Axiom Mining Limited (ASX:AVQ) will commence a three phase exploration over two years to evaluate the gold and copper prospectivity in Vietnam; Tata Consultancy Services (BOM:532540) is to partner with Singapore Management University for the establishment of the TCS-SMU iCity Lab. 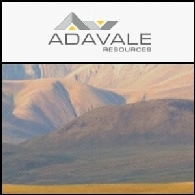 Asian Activities Report for May 11, 2011 includes: Adavale Resources Limited (ASX:ADD) signed a Joint Venture agreement to explore and mine for coal in Indonesia; Sheffield Resources Limited (ASX:SFX) reported high grade iron results from Pilbara Iron projects; Scandinavian Resources Limited (ASX:SCR) updated on Kiruna Iron Project in Sweden; Phoenix Gold Limited (ASX:PXG) has completed its second drill program at the Rayjax deposit, part of the Kunanalling Gold Project. Asian Activities Report for April 5, 2011 includes: Extract Resources Limited (ASX:EXT) (TSE:EXT) has received a two year extension for the Husab Uranium Project in Namibia; Millennium Minerals Limited (ASX:MOY) has signed a joint venture agreement with Galliard Resources Corp.; Sylvania Platinum Limited (ASX:SLP) announced a JORC Inferred Resource estimate for the Northern Limb Resource; Sheffield Resources Limited (ASX:SFX) has commenced drilling at its Yandanooka heavy mineral sand project in Western Australia. Australian Market Report of January 17, 2011 includes: Sheffield Resources Limited (ASX:SFX) acquires large mineral sands exploration project; Mutiny Gold Limited (ASX:MYG) upgraded gold resource at the Deflector Deposit; Kula Gold Limited (ASX:KGD) announced high grade drilling results at its 100% owned Woodlark Island Gold Project in Papua New Guinea; Speewah Metals Limited (ASX:SPM) reported exceptional high grade copper and silver assays in Western Australia.